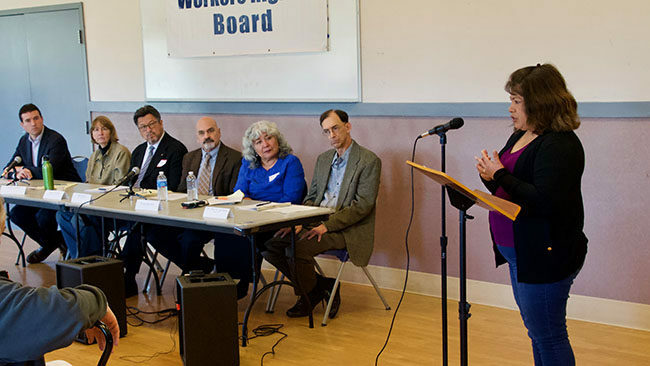 California’s largest nursing home company could be facing a campaign to wrest control of its two Marin County homes after workers and residents testified that both homes are chronically understaffed and under-resourced. 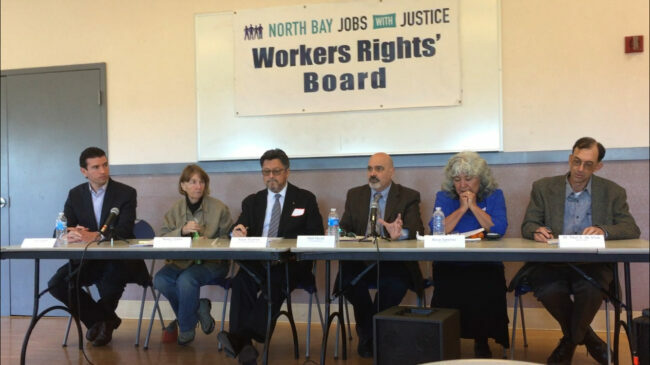 “Given what we’ve heard, we feel they’re bad actors,” said Matt Myres, who chaired a Workers’ Rights Board hearing March 4 to look into the homes operated by Brius Healthcare. Final recommendations, expected to be released within a few weeks, will also consider how to go about bringing in a new operator for the nursing homes. Brius, which controls 1 in 14 nursing home beds across California, and 1 in 5 beds in Marin County, already finds itself squarely in the crosshairs of state officials. The California State Auditor is reviewing the company’s dealings with dozens of other companies controlled by its owner, Shlomo Rechnitz. The California Department of Public Health has blocked Brius from taking over six nursing homes since 2014, citing its dismal patient care record. And former Attorney General Kamala Harris moved to block the company from taking over 19 additional homes, writing that Rechnitz was “a serial violator” of nursing home rules. 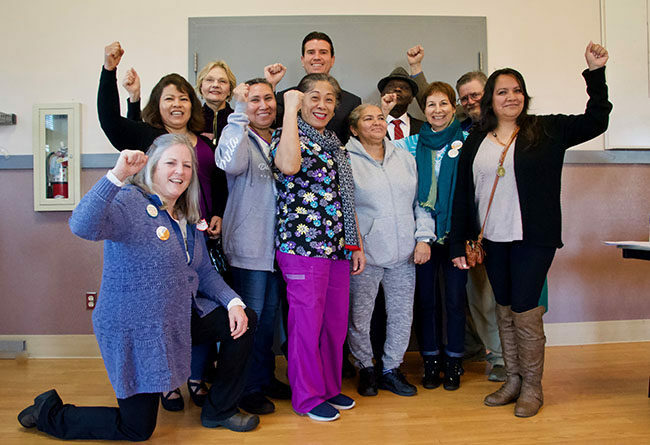 The situation is already dire in Marin County where Brius controls Novato Healthcare Center and San Rafael Healthcare and Wellness Center, whose employees are represented by the National Union of Healthcare Workers. Both homes have been cited by state regulators for understaffing over the past year. During the hearing, patients and their loved ones said that both homes often rely on temporary caregivers who don’t have the same dedication as full-time staff. 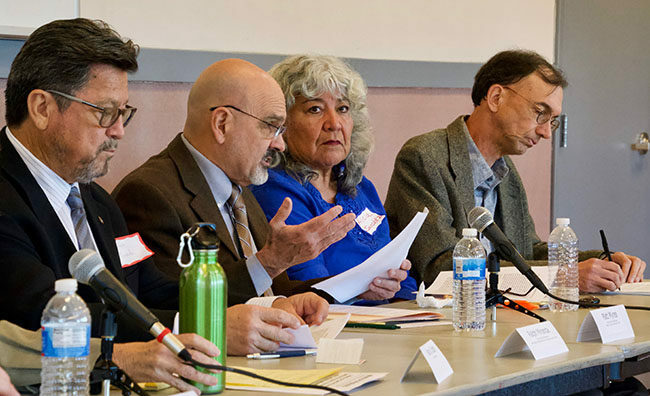 Ian Minto, the resident council president in Novato, said he recently fell in the bathroom and needed more than an hour to pull himself up after no one responded to his cries for help. When he explained what happened to a temporary nurse on duty, “she never looked up from her phone,” he said. Stanton Richardson testified that when he came to visit his father one afternoon, he found him tangled in his bed unable to help himself, while temporary staffers had neglected to check on him. 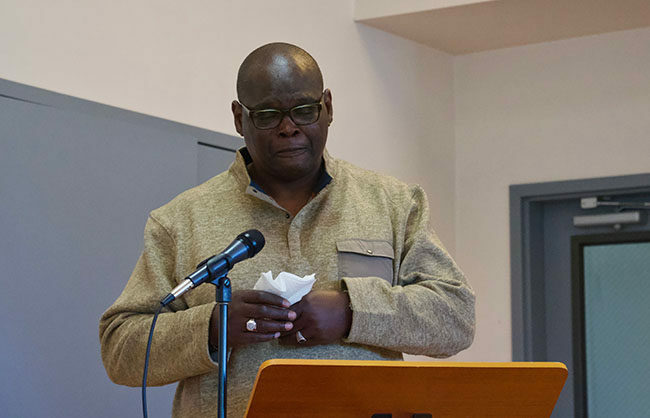 Richardson said the Novato facility, where annual staff turnover has topped 30 percent in recent years, was desperately in need of more caregivers earning enough money to keep them in their jobs. Maria Martinez, a former nursing assistant in San Rafael, said understaffing prevented her and other caregivers from giving patients the help they needed. “A lot of times I had patients who were depressed and they were asking for their family, but I couldn’t sit down or hold their hands and talk to them because there was no time,” she said. Martinez added that with 15 residents to care for, things inevitably fell through the cracks. “A lot of times we didn’t have time to brush their teeth … or wash their faces,” she said. Bernice Dominguez, a housekeeper in Novato, testified that she sometimes was asked to check on patients even though she wasn’t credentialed to do that work. “It’s really very hard to listen to the cries of patients who need help,” said Dominguez, who makes $11.58 an hour after being at the facility for 15 years. Rather than taking steps to keep long-term workers, Brius appears to be trying to oust them. The company recently changed its schedule, denying workers from having the same days off every week. The floating schedule makes it hard for people who have second jobs and families, said Benjamin Maldanado, a housekeeper in San Rafael. The board invited Brius to provide testimony and is still open to hearing from the company before it releases its final report. In speaking for the board, Myres said it was clear Brius needed to restore consistent schedules and boost wages.